dutchelm1 – Benbow Brothers (Timber) Ltd. 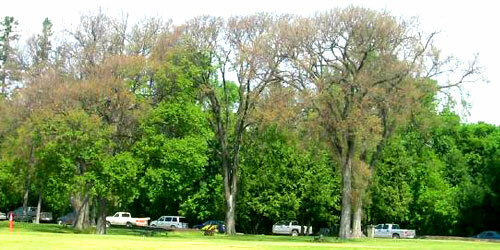 The signs of Dutch Elm Disease are often visible from a distance. Consequences: Vascular collapse leading to death of the tree. Dutch Elm disease looks like burning or tree de-hydration. This is due to the tree blocking it’s own vascular system in an “allergic-reaction” immune response to the fungus.